The data isn't always complete and there's always exceptions, but statistics indicate that breakdowns or accidents on amusement park rides are rare. A young girl dangled off a gondola ride in upstate New York, her fall cushioned by a group of Good Samaritans on the ground. Three children were hurt, one left with a serious brain injury, when their Ferris wheel gondola tipped over at a Tennessee fair. And just this week, Ohio State Fair patrons lined up for the Fire Ball ride were horrified when a ride carriage came loose from its spoke arms, killing a young man who was sent airborne out of the ride. These disturbing events all occurred at midways and amusement parks within the past year, but media coverage may be distorting the frequency of mechanical failures, according to Dr. Kathryn Woodcock of Ryerson University, a specialist in human-centred design for amusement attractions. "It is understandably newsworthy and alarming because it is an activity that we are all familiar with, we trust that the scares are illusions. But the reason this recent [Ohio] event is so shocking is because it is so unusual," said Woodcock. "We do not have a lot of 'near-miss' seat detachments." Woodcock argues that accidents are rare. 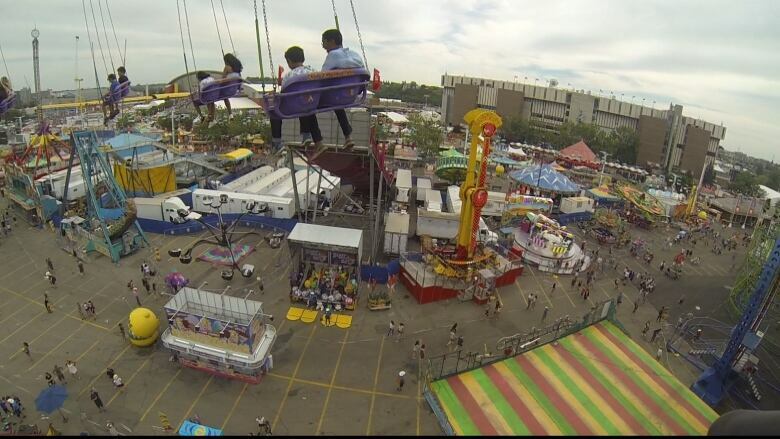 In addition, coverage of amusement park riders being rescued from great heights — visuals TV news producers love — may seem incidents of great peril, she says, but are usually a sign of an abundance of caution being exercised and safety checks being properly followed. The amusement ride industry is subject to a lot of oversight. Ontario's Technical Standards and Safety Authority (TSSA) reported over 2,000 inspections from its own certified experts last year. Meanwhile, the company that operates the rides has mechanics who undergo training and a certification process who perform daily or weekly inspections, as directed in the manufacturer's manual. The company's insurer may also send inspectors to protect their end, and some fairs also use third-party consultants for independent inspections. Rides also require periodic Non-Destructive Testing (NDT), where specialized equipment can employ ultrasound or magnetic particle testing to check for issues below the surface. "I know some rides that are 40 years old and still running, so there's no life expectancy if you're doing all the maintenance that's required by the manufacturer," said David Collins, a California-based industry consultant and certified ride inspector with decades of experience. 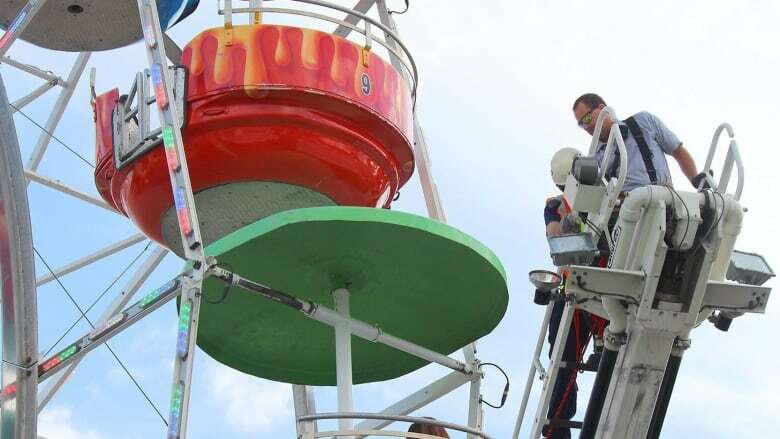 There's no regulatory body at a national level charged with tracking all injuries in either Canada and U.S., but attempts have been made to get a handle on the frequency and severity of amusement ride injuries. In Ontario, the TSSA in 2016 found 902 reported safety incidents from a range of fun outdoor activities, including waterslides, ziplines, bungee rides, inflatables and go-kart rides, but also rollercoasters or spinning or lifting midway rides. There were 41 injuries deemed serious among the occurrences in Ontario and 828 were minor in nature. That was much fewer than elevator incidents, but more than escalator mishaps, which admittedly are not seasonal. The TSSA found just four per cent of incidents could be characterized by non-compliance; that is, owners or operators not adhering to legislation or accepted standards. Data from the International Association of Amusement Parks and Attractions in the U.S. on fixed-site rides, collected by the National Safety Council, estimated there were 0.8 injuries per million patron rides in 2015. Of the injuries, 5.5 per cent were considered serious enough for a visit to hospital that required more than just observation. The chance of being seriously injured on a fixed-site ride at a U.S. amusement park was pegged at one in 16 million, the study's authors helpfully pointing out that U.S. weather experts estimate the odds of being struck by lightning to be one in 775,000. A study published in 2013 in the journal Clinical Pediatrics, meanwhile, estimated that an average of 4,400 children visited emergency departments annually between 1990 to 2010 in the U.S. because of amusement ride injuries. Among both children or adults, head or neck injuries, broken bones and ligament damage, as well as contact burns and bruises, can occur. Bumping or banging in the carriage or people falling from the unit to the platform don't get media attention, but are the more likely risks of taking a thrill ride. All attempts to collect data conclude that incidents are likely underreported, especially those involving minor injuries. It's also generally agreed that the leading cause of injury is attributable to user behaviour. 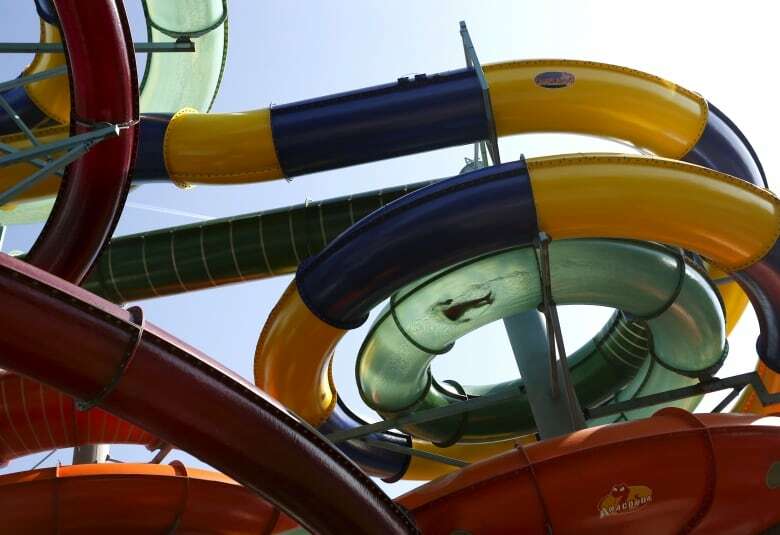 Waterslides are considered much more dangerous than coaster or circular rides, where people are in restraints, with more reports of waterslide injuries both in the Ontario records and the U.S. study. Well-known companies like Disney, Six Flags or Cedar Fair Entertainment have long safety reputations, which can provide peace of mind to users. Canada's Wonderland, operated by Cedar Fair, has not been plagued by safety issues since opening in 1981. Fairs may evoke impressions of itinerant workers, but most are operated by national or regional corporations with a trained labour force. North American Midway Entertainment and Amusements of America, for example, each service dozens of events in the continent. "The fixed rides and the portable rides all get daily inspection checklists. They all go through same procedure whether it's a big park or a carnival travelling shows," said Collins. Regardless of the type of ride, structural failure is rare, and visual inspections can detect cracks and corrosion due to fatigue and environmental exposure, Woodcock said. But not everything is caught in time. Superficially, the Ohio incident resembles a less grave accident in which 10 suffered minor injuries in 2010 at the Calgary Stampede. The Scorpion ride's pods detached when a satellite hub detached from its sweep, falling about 10 metres. Visual inspection had been done, but corrosion occurred in an area completely concealed from all forms of inspection. Poor welding repairs were cited in the Stampede incident, but every serious mechanical breakdown incident has its own unique details, and both Woodcock and Collins refrained from publicly speculating on the cause of the Ohio crash. "It can be something that you can't find, something that is not that detectable and at times it's some other thing nobody expected or could understand," said Collins. The Tennessee accident highlighted how fine the line can be leading to a disastrous chain of events. According to media reports, worn rivet fasteners on the bottom of the gondola of the ride contributed to a piece of trim coming loose. That piece got lodged in the frame of the wheel, causing the unit to tip over. Standards regarding the installation, inspection, maintenance and repair have been recently harmonized in North America, but Woodcock has written in the past that oversight can vary from jurisdiction to jurisdiction. Since the 1986 West Edmonton Mall rollercoaster crash which killed three and was blamed on design and manufacturing flaws, extremely serious incidents of any kind in Canada have been few. 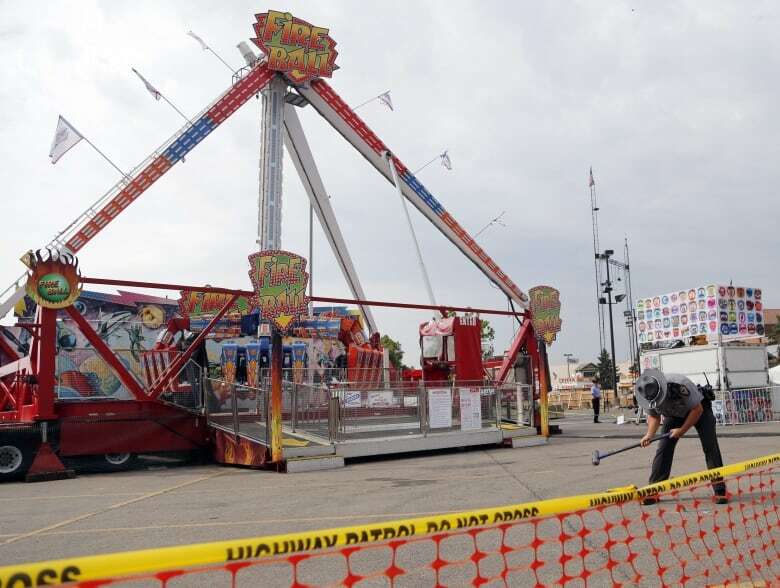 A bungee-ride death occurred in Ottawa in 2000, while two years earlier an inspector was killed while inspecting a midway ride at the Pacific National Exhibition. A Manitoba teen suffered paralysis at a ride at the Red River Exhibition in 2013, but the outcome was not attributable to mechanical error. Rides are complex engineering feats. Just as Amtrak can't always account for the fatal oversights of otherwise qualified engineers, ride operators, despite comprehensive training, can slip up. But there are huge financial and reputational costs involved for ride companies that allow systemic negligence. The former operator of the CNE paid a reported six-figure settlement to a girl who was injured by flying material from a ride in 2000. More recently, Six Flags reportedly set aside $3 million US after a woman died on a Texas coaster; although the terms of the eventual settlement were confidential. 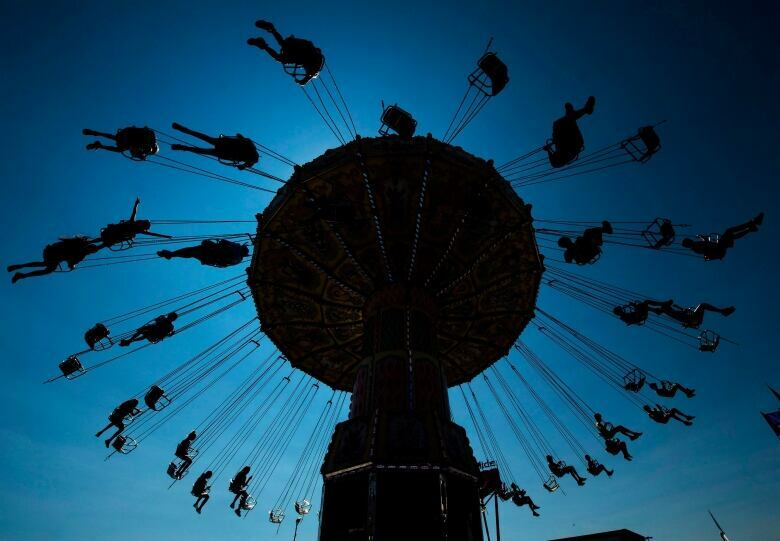 Ohio's governor John Kasich got to the crux of the matter, albeit brusquely, with a reporter wanting to know why visitors should still trust the rides at the Columbus fair. Everyone has to make their own judgment whether it's an acceptable risk, he said, as they do with ski lifts, personal watercraft vehicles, or participating in organized sports. "I'm not going to stand here as a human being and say that somehow we can guarantee our safety 100 per cent in whatever we do," said Kasich. "But we want to do everything that is rational." Chris Iorfida has worked in TV news, radio, print and digital in his journalism career. 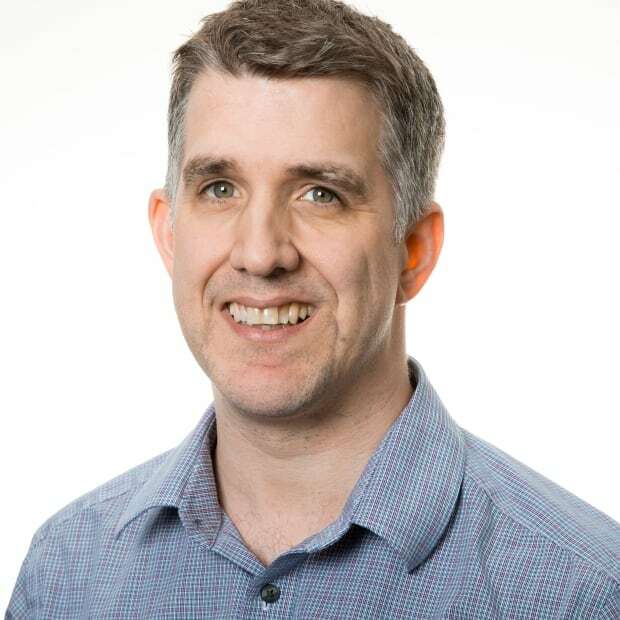 He has been with CBC since 2002 and written on subjects as diverse as politics, business, health, sports, arts and entertainment, science and technology.